Parental stress is a very real thing. 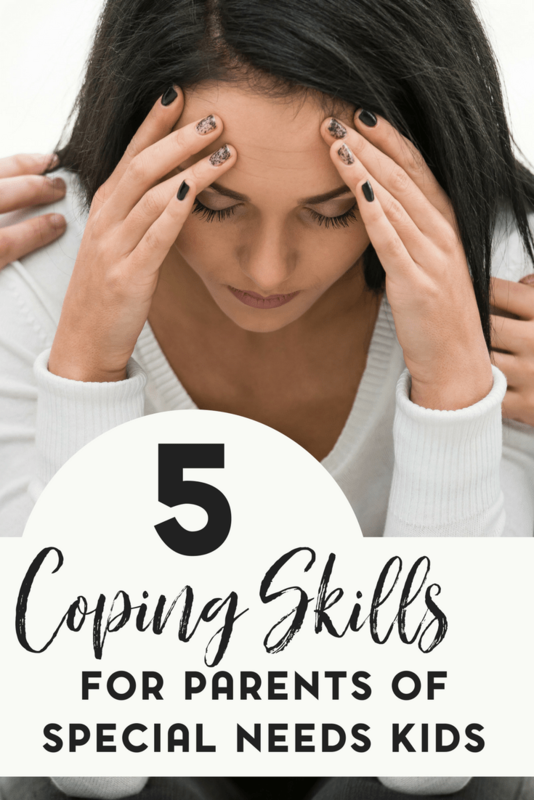 To help against it, we need to develop coping skills like the ones suggested in this post. 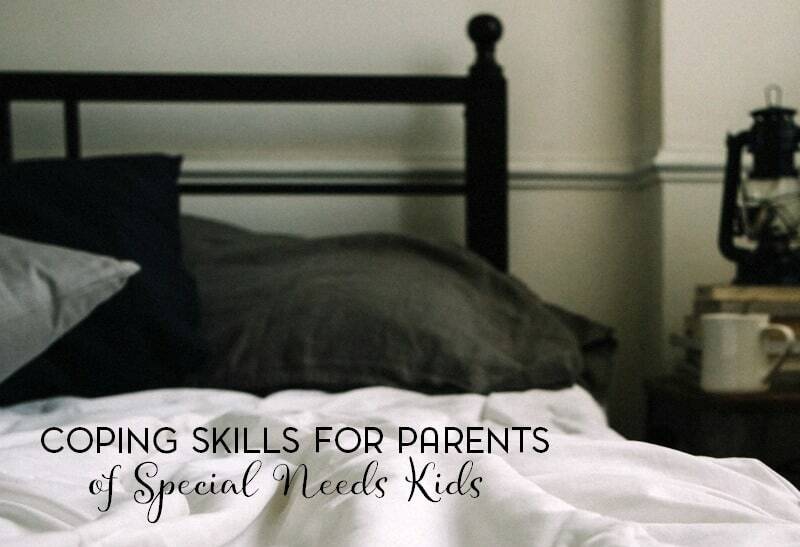 From one parent to another, here are essential coping skills for parents of special needs kids. I’ve been on the journey of special needs parenting since my son was an infant. He was born three months premature and with that early birth came a few health complications. A few years later, my daughter would be diagnosed with autism as a toddler. I won’t lie and say that this has always been easy. I’m not perfect and over time, I’ve had to develop coping skills. 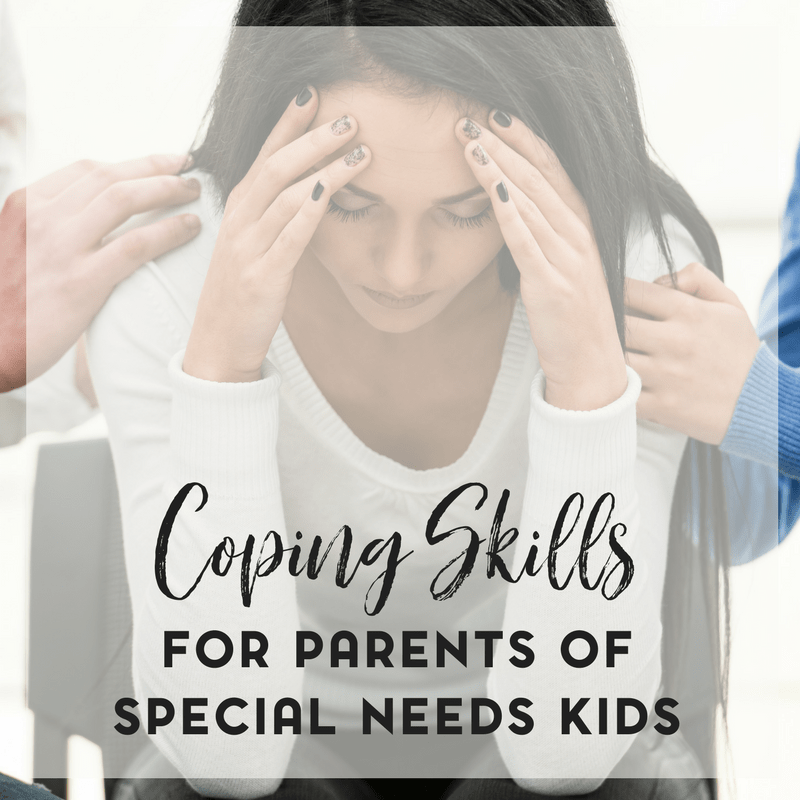 So today I’m talking about coping as a special needs parent. This is something that I’ve touched on here and there before, such as when you get the initial diagnosis and dealing with both grief as a parent and guilt as a parent. Being a parent of two special needs children is not something that I would have readily signed up for. But, I also wouldn’t change a thing. I love my kids regardless of their abilities. I’m also becoming more and more aware of looking beyond the labels and hoping that others will see that as well. My kids are kids first. They are people first. Parents of children with autism take on many roles in their child’s education and every day life. They must first recognize and pursue a diagnosis for their child. Once an accurate diagnosis is made, they must find a suitable program and services for their child. Parents need to also act as teachers in the home so that their children learn to generalize skills in the home that they are taught at school. Parents become life-long advocates for their children. It’s what we do. And while we have our fair share of wins and personal successes; there are plenty of times that we may feel overwhelmed and defeated. We know, as special needs parents, that some days are downright difficult and you may feel as though you live at a zoo. But the best thing about that? You are the zookeeper (or co-zookeeper) and you are in control of the situation… even if it may not always feel like it. So what are some ways of coping? * Find respite services. Respite can be a lifesaver in terms of giving a primary caregiver some necessary relief. Even if it’s just for an hour or two a week, respite can make a huge difference. * Take a break. If you can’t get respite services, at the very least take a break. Ten minutes of mindful meditation can make a huge difference for your mental health. * Utilize your support network. Having reliable friends who understand and can listen to you vent or just give you a shoulder to cry or lean on can also make a huge difference. Yes, you might have your partner or spouse helping you out as well, but sometimes having another person to talk to can do a world of good. * Seek counseling. If you need to talk to a professional, there is no shame in that! Maybe there’s an underlying problem that’s only getting worse with the stress of raising kids. A professional or church clergy person can help with that. Look up the resources in your community and use them. * Accept that some worrying is natural. No one on this earth is truly worry-free. This is an unrealistic expectation that can ultimately cause more worry when you start to worry about worrying. Try to differentiate between the worrying that most people experience and the unnatural worrying that leads to anxiety. After all, you wouldn’t be a parent if you didn’t feel worried about your child’s future or what might happen on a daily basis. Want more help and advice? Grab my New Autism Diagnosis toolkit! Also remember- even on the days where it may seem like you are alone on this journey – you are not alone! Help is there for you, all of you have to do is reach out and look for it. « What Are the Benefits of Habilitation for Autistic Teens? Respite is very, very important! I am a mom of six with one special needs child. Taking lots of deep breaths help as does acknowledging the good days. We do have many good days that help us shore up for the really tough ones. Thanks for your honest post. Yeah.. Respite has been a huge help. Even if it’s just for an hour or two a week. It definitely makes a different. And yes, I agree- counting your blessings with the good days helps make the hard days easier. And wow, mom of 6! Sometimes I think I have my hands full with three, lol.